A planned 2,000-home community that’s heavily promoting the splendors of farm life has attracted developers like Lennar Corp. and Ryan Homes. The so-called “agrihood” community, called Arden, is under contruction and will include single-family homes, about 120 townhome units and a five-acre working farm with tropical fruits, vegetables, herbs and flowers, according to the Sun Sentinel. It sits west of Lion Country Safari off Southern Boulevard. 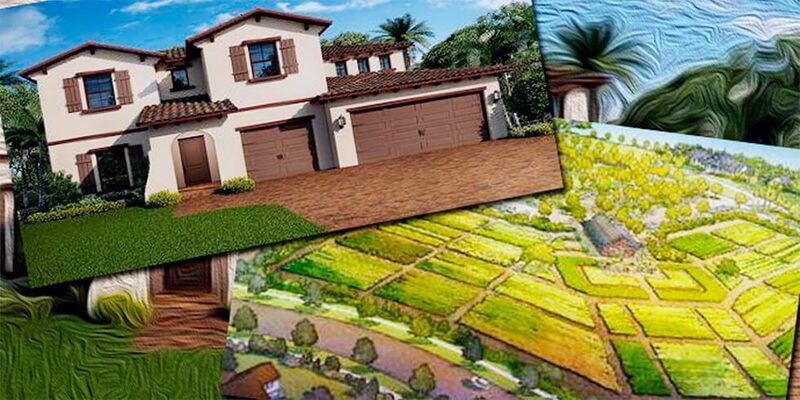 The farm-themed development has already drawn investment from Lennar Corp., which owns about 86 lots with plans to purchase more, Ryan Homes, Kennedy Homes and Kenco Communities, according to the Sun Sentinel. The four home builders have sold about 115 houses so far. A number of the ultra-wealthy own equestrian estates in the village of Wellington, including Bill and Jennifer Gates; Steve Jobs’ widow, Laurene Powell Jobs; Michael Bloomberg’s daughter, Georgina Bloomberg; and Billy Joel.